Remember back, way back, to a simpler time? 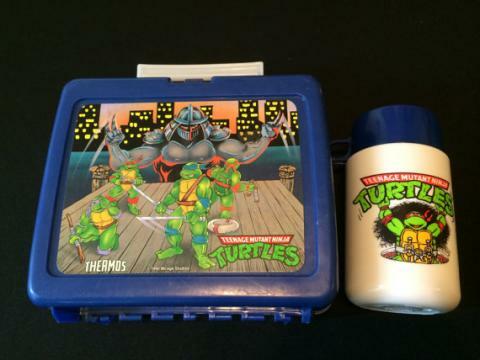 Remember carrying around your lunch box with your favorite Saturday morning cartoon characters on it? Or maybe it was a band or TV show. Super cool kids had a matching Thermos. Remember racing out to recess after scarfing down your lunch as quickly as possible, so you’d be the first one on the swings or monkey bars? Chicken nuggets came in the shape of dinosaurs and breaded fish sticks were shaped like… well, I guess they were supposed to be fish. Remember pizza on Fridays with chocolate milk? Run around too fast, too quickly, and that pepperoni and milk in your stomach might slow you down pretty quickly. “Red rover, red rover, send…” oh man, if they call me, I’m busting someone’s arm for sure. No one’s stopping me! Remember being frozen until someone tagged you? You’d feel that hand tag you and you’d be set free! Remember the lava on the ground? It flowed so readily as we dangled above it on the playground. Uh oh, here come the jump ropes! If I was jumping, it took way too many doctors to help Cinderella after kissing that snake. Fast forward a few years and now you figured out that boys and girls didn’t really have cooties. Suddenly, the shoes and clothes you wore mattered. Notes passed in class might reveal who your secret crush was. Remember hoping the teacher wouldn’t read it out loud, but then, kinda hoping she does? Better just stash it in your Trapper Keeper. Remember being so excited for the book fair you wanted to scream?! If I buy three Goosebumps books, I get a free bookmark! Check it out - I made a little accordion thingy using the edges of that dot matrix printer paper. Bet you’ve never seen one like this! Remember those decorative erasers that didn’t really erase? They were awful. Try too hard and you’d put a hole in your paper. Remember that one teacher who made you feel like you could do anything or be anyone? Remember when she asked if she could read your work to the rest of the class because it was so good? Remember when she made you feel like your project was the best one she’d ever seen? Remember when you needed that extra boost to make it through the day and somehow she knew and would come through? Remember how many kids were in your largest class? Remember when you heard about the teacher shortage on the news? Remember when you found out that your favorite teacher moved because she said the pay was better in another state? Remember the standards that were posted at the head of your classroom? Remember all the tests you had to take – especially the big ones required to graduate? Maybe you forgot what the acronyms stood for. Remember walking in the classroom and sensing that the teacher was majorly stressed out, but you were unsure of why or how to help? Remember what’s important. Remember that we have the power to make memories good and bad. Know that while you may not have answers to that last set of questions, there is a generation of kids who do. Remember why we do what we do and adjust accordingly.